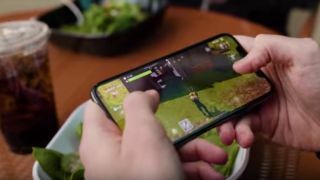 We finally have a Fortnite for Android release date of August 9, but there's a catch. It will only be available on a handful of Samsung handsets on that date. The beta of Fortnite on Android will be available on the Samsung Galaxy S7 and above from today, August 9. If you play Fortnite on a Galaxy Note 9 or Galaxy Tab S4 you'll also get an exclusive character skin called 'Galaxy'. It's currently not clear when the game will be available on more Android smartphones, but we're waiting to hear the details on that. Samsung's Unpacked launch event is still happening, and we'll update this article when we know more about the Fortnite for Android plans.